A Brisbane girl doing Brisbane things. As a 'Fur Mum', I am always on the lookout for fun things to do with my fellow adventure seeker, Barkley. Getting up early on a Saturday morning and getting out and about in Brisbane is our favourite thing to do! We go for hikes, picnics, drives to the coast, walks and of course swimming! At low tide, the sandbar is exposed creating the ideal walking track out to King Island. Just over a kilometre from Wellington Point Reserve (approx. 30mins from the city), this is the perfect playground for your pooch, who can chase crabs across the sand or get those paws wet. Word of warning though: be sure to check the tide forecast as the water comes back in quite quickly! Also, there are limited times when you can take your dog with you on and off leash (e.g. weekdays and some specific times on weekends and public holidays). Be sure to check out the Redland City Council website for those details. And wear a hat and sunscreen and take plenty of fresh water for you and your pup. It gets pretty hot out there! Once back on solid ground, be sure to cool off at the local café and grab a coffee or a bite to eat, you've earned it! Well behaved dogs are allowed in the outside area. I always ask first. Located just off the highway, north of the airport makes this a popular spot for the active fur kids. With a lengthy stretch of beach line, it allows plenty of space for the frisbee hunters and the local fisherman. Whether your pup is a keen swimmer or just enjoys a good sniffing adventure, Nudgee beach is a great space for every dog, big or small. There's a picnic area and 'Doggy World', an awesome fenced off obstacle course to keep your fluffy pal amused. There's also plenty of parking and a local convenience store. The only downside to this place is trying to keep your car clean from your muddy/sandy dog on the way home! The north side's not-so-well-kept secret! Sweeney Reserve is a pocket of puppy paradise! A dedicated, fenced off swimming hole (salt water creek), with plenty of space to explore amongst the trees and roll around on lush green grass, makes this place a favourite! Apparently, much of this amazing area was destroyed during the 2011 floods, but from what I can tell now, the local council have done a great job of getting it back up and running! Every Sunday from 8am, the Redcliffe Jetty Markets come alive with food stalls for all tastebuds, fashion, fresh local produce and plenty of sights and sounds for you and your dog. Located on the foreshore of Anzac Place Parklands, the whole street is blocked off and becomes a flurry of activity of the fluffy and human variety. Once you've finished indulging your senses at the markets, head down to the waterfront for a change of pace and take a relaxing stroll. There are plenty of doggie bags, bins, water, and shady areas to stop and have a break. Grab the blanket, pillows and puppy and head to Yatala and catch a flick or two at the drive in! Your doggie pal will happily share your ice cream with you as you watch the latest releases in the comfort of your own car! There's even a grassy area for you to take your dog but you must make sure he is on a lead and with you at all times! 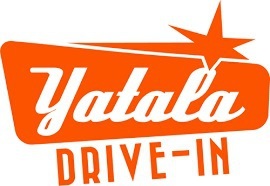 Check out the Yatala Drive In website for further details. There are so many great places and activities to do with your canine best friend in Brisbane, this is just a small few. Have you got somewhere amazing to share? Sweeney is definitely large and fun for your dog. been once so far but our dog had a blast. We were warned by another couple to look out for sharks though as they sometimes come down that part of the river but not often. Thanks for sharing. ... we used to walk at Sweeney reserve all the time. ...the fence came down once. ...was replaced with super fence. ..then down again in 2011....took council forever to replace but good to know its complete! Sadly they'd just finished a kids play area and picnic area before it all got washed away! !